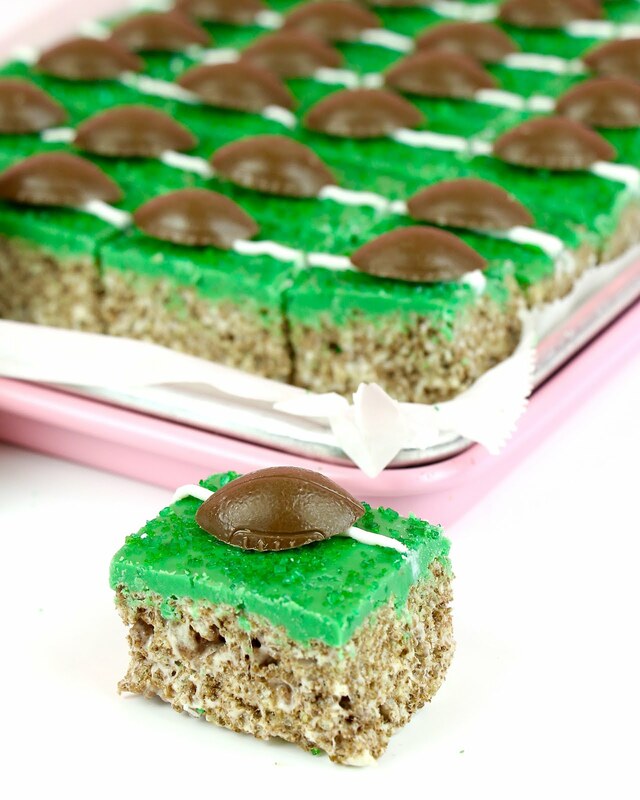 Cute little Football Field Cocoa Rice Krispie Treats, perfect for Superbowl Game Day! 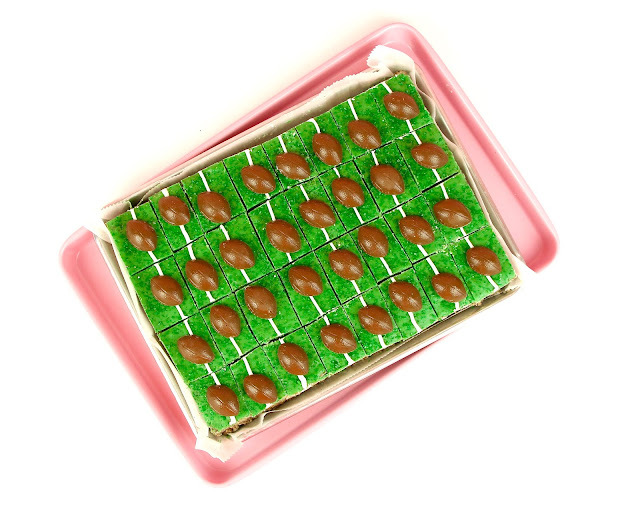 I made cute little chocolate footballs in a plastic candy mold I got online, to put on top of these super easy candy coated rice krispies treats squares to make them look just like a little football field. Some green melted candy coating just gets poured over the cereal treat, then once it's set, add some white chocolate field lines and top it off with little chocolate footballs. 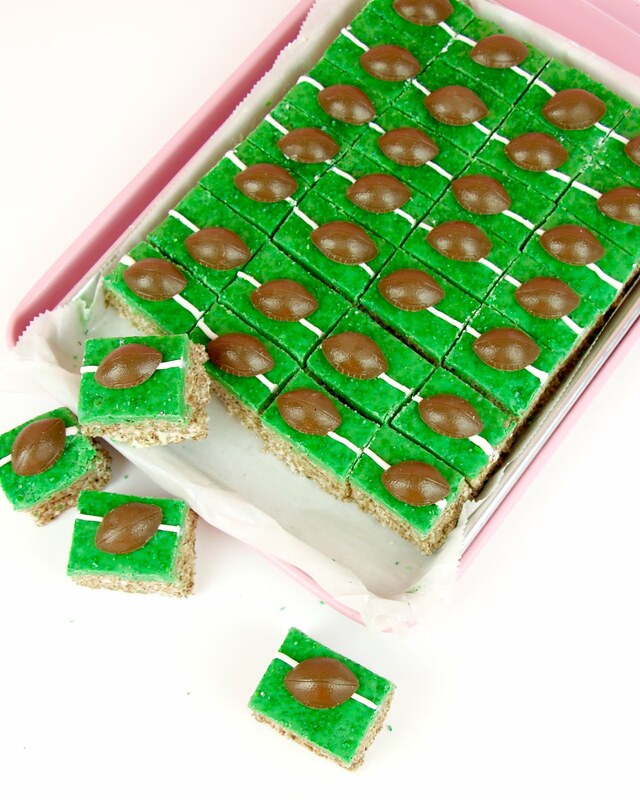 Cut them into little squares and serve on game day, for a perfectly festive treat! You can even customize them to match your team! Line a 9x13-inch pan with parchment or wax paper and coat with cooking spray. Melt butter in a saucepan. Stir in marshmallows over low heat, until just melted (Or do this in the microwave). Remove from heat and stir in vanilla and salt. Pour over cereal, mixing gently until cereal is well coated. Using a greased spatula, gently spread mixture into prepared pan and flatten top (Do not press mixture in too firmly). Melt green candy melts and cream in a shallow bowl, stirring until smooth. 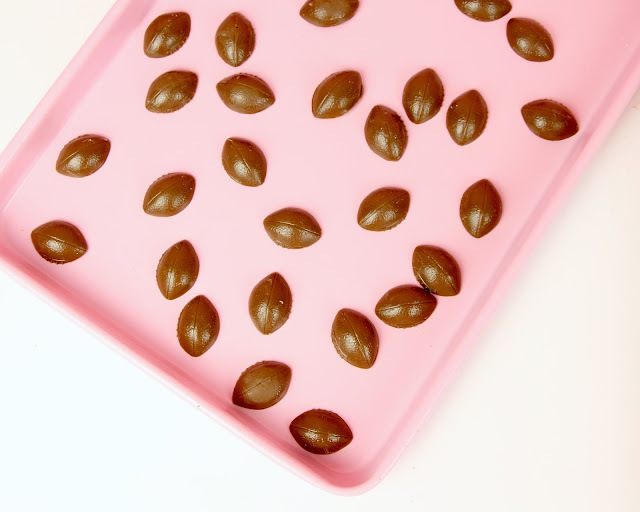 Pour on top of the cereal treats and spread evenly. 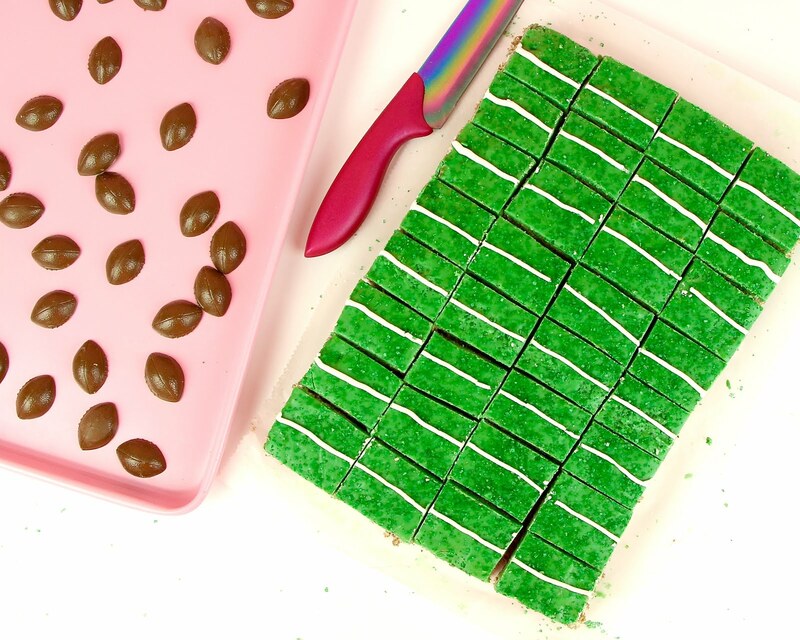 Add green sprinkles on top. Let cool, about 1 hour. Pipe 8 white candy melt lines, widthwise down the "field". Cuts into 32 bars. 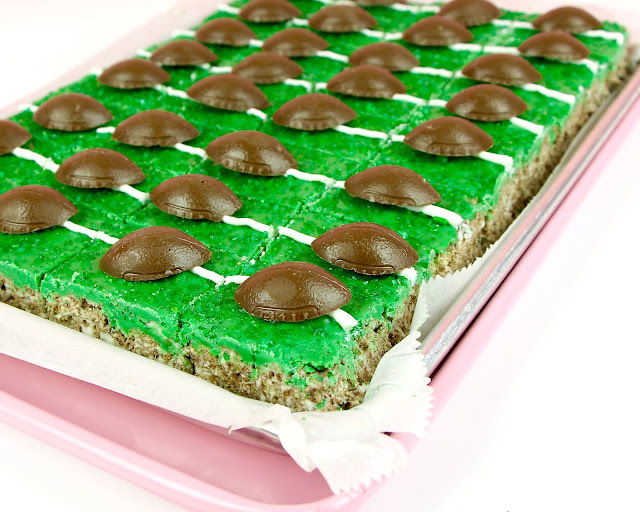 Add chocolate candy footballs on top. Serve fresh, the same day. Note: Store no more than two days at room temperature in airtight container. To freeze, place in layers separated by wax paper in airtight container. 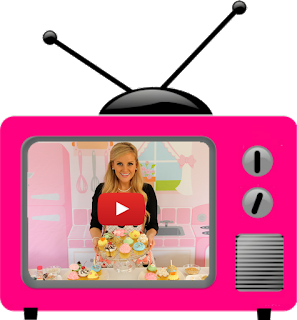 Freeze for up to 6 weeks. Let stand at room temperature for 15 minutes before serving.